Our third GEF dinner took place on Saturday 16th February 2019 at Ardoe House Hotel, Aberdeen. 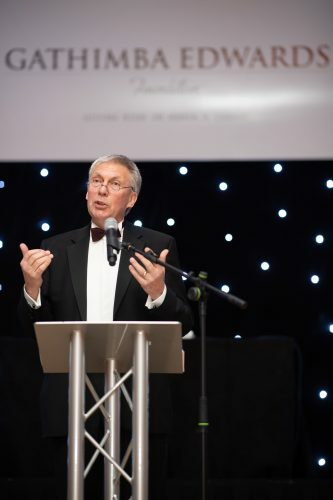 The event which was headline sponsored by Phil Anderson Financial Services Ltd raised a GEF record £50,657 profit. The evening consisted of inspiring international speakers, awards, authentic Kenyan cuisine, unique prizes and much more. Phil Anderson Financial Services Ltd. has very generously offered to headline sponsor the next GEF dinner which will take place on Saturday 20th February 2021. Tickets are £90 and tables of 12 are £1,020. Please get in touch if you’d like to reserve tickets or tables as they are filling up fast. We ask that a non-refundable deposit of £10 per person is paid to secure the booking, with full payment to be made 6 months prior to the event. The GEF dinners of 2015, 2017 and 2019 have collectively raised a whopping £141,957! All of this incredible support from so many people means that more children in this world will wake up tomorrow with more hope. For that, we, the children of Kenya and our little hero Evie are forever grateful. Brother Colm O’Connell arrived in Iten, Kenya from Ireland as a missionary in 1976 and taught geography at St Patricks Boys Secondary School. Early on, he was asked to help out on the running track, and discovered a passion that has lasted to this day. What happened next is now the stuff of legend! Under Colm’s guidance, 37 Olympians and 18 Olympic or World Championship medal winners would emerge from this tiny school, including the current 800 metre world record holder David Rudisha. Brother Colm spoke about the importance of focus and determination when striving for your goals as well as not being put off by the magnitude of challenges; instead focusing on small steps along the way to making the world a better place. 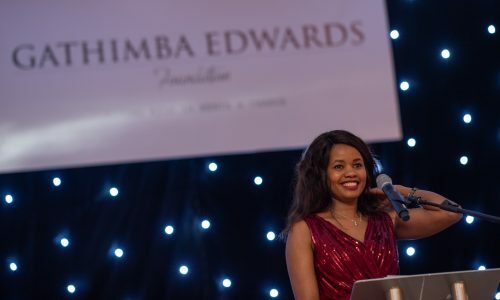 Mary Waithera motivated guests with her story of how international sponsorship gave her the opportunity of an education following the passing of her mother to cancer when Mary was 12 years old. 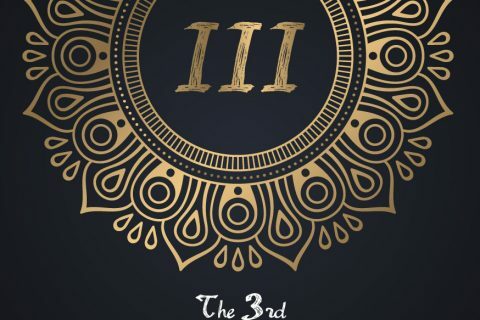 Her determination in the face of many of other challenges meant she went on to gain a BSc in Communications & Public Relations from one of Kenya’s top universities, record several songs as a music artist. She also surprised guests with a rendition of ‘Don’t Worry, Be Happy’ which was her mum’s favourite song. Sadly the UK government did not grant David Sagida the visa to fly to speak at the dinner but David appeared via video to share his humbling life story. 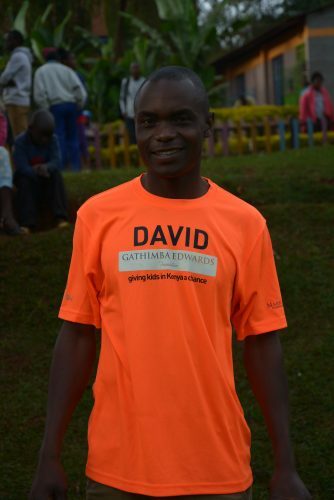 From being left homeless by political violence as a child, David’s perseverance and attitude has seen him become one of the most respected members of his community and a central part of GEF’s work through his role as our Operations Manager in Iten, Kenya. David spoke about how your support has assisted him and his family through some challenging times bringing up their son Daniel who at 2 months old was paralysed from the neck down as a result of meningitis. He also shared insight on the impact your support has had on the lives of the other children we support and why he is so passionate about giving them the best chance in life. 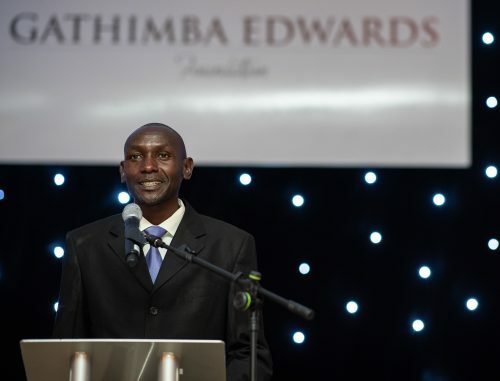 Co-founder of GEF, Kenyan international athlete and former 4 x 1,500m relay world record holder, Gideon Gathimba told his life story starting with challenges he had as a child in a family which struggled to feed and educate him and his siblings. He then went on to explain how athletics changed his life and why he is so committed to giving children the same chances he had to further his life and that of his family. Chair of Parkrun UK and former 5,000m world record holder Dave Moorcroft once again kindly and excellently compered the evening’s proceedings. Dave and his wife Linda have become part of the GEF family and we are so grateful for their support. A special thank you to Westhill & District Roundtable for once again sponsoring our Neil Jaffrey Local Child in Need Award. 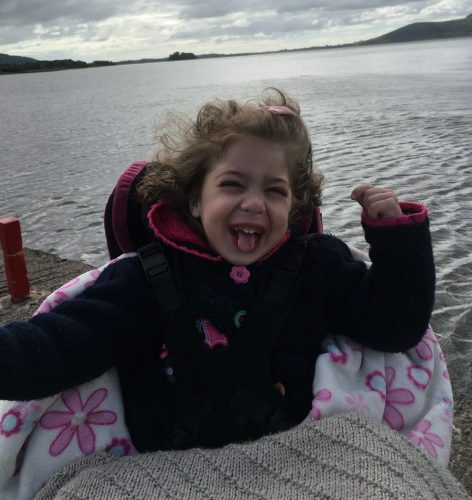 £2,500 from the dinner will go to helping Evie, who suffers from cerebral palsy, severe dystonia and resistant epilepsy which brings huge challenges to her and her family. We have had the pleasure of getting to know them over the past few months. The love, patience, happiness and reluctance to ask anyone for help humbled and inspired us to do something to make their lives a little easier. We want to focus on areas of Evie’s life that we can have a positive impact on right now as many other areas such as her seating are so complex it is going to take time to find the right solution. The targeted £10,000 will go towards a contribution to the outdoor play facility which we aim to build at their home. Not only Evie will love this but so will her little brother Jake. This is so important to the family as getting out and about is immensely difficult due to Evie’s seating issues and the fact it takes both her parents to travel for safety. Being able to have fun in their own home and garden without having to travel will have the biggest impact. It breaks their hearts to see Evie’s little brother missing out on so much due to their travel issues and the time dedicated to Evie’s day to day care. 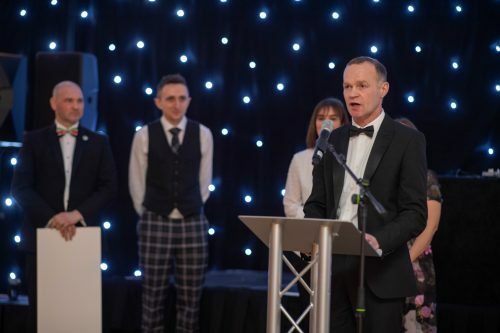 Evie’s dad Craig spoke brilliantly on the night to express how incredibly grateful they are for the support, Donations can be made via the Total Giving page. 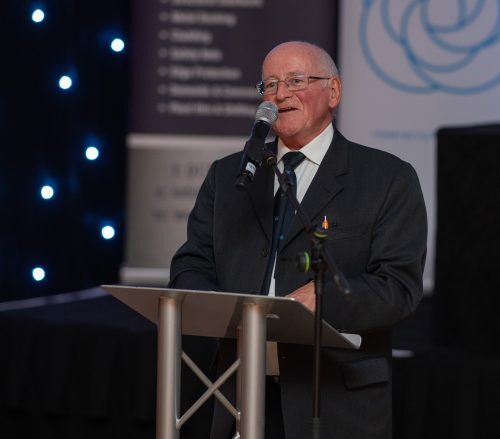 Alan Brown was the recipient of our Special Contribution Award in 2017 and this time shared a wonderful poem about GEF. 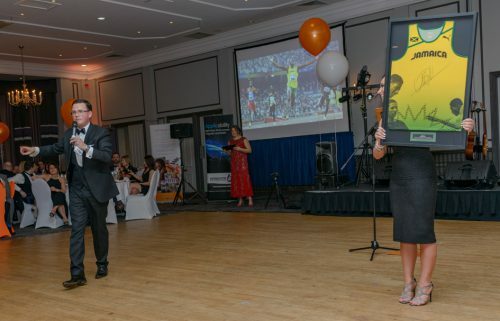 Alan is a true force of nature who has raised colossal amounts for GEF through coming to Kenya 5 times, organising events, sponsoring children, doing crazy challenges such as running 115 miles in 7 days, selling raffle tickets and much more. This time around Alan presented the award and 2 handmade (by David Mackay) bird house trophies to two very deserving winners. It has become an almost impossible task to single out special contributions when so many people are doing so much for our children. We have people running multiple marathons across the Sahara dessert, volunteering multiple hours per week, cycling hundreds of miles whilst climbing mountains in between, sponsoring several children, building houses in Kenya year in year out and raising thousands of pounds in the process. However, tonight we presented the special contribution to two legends of GEF. 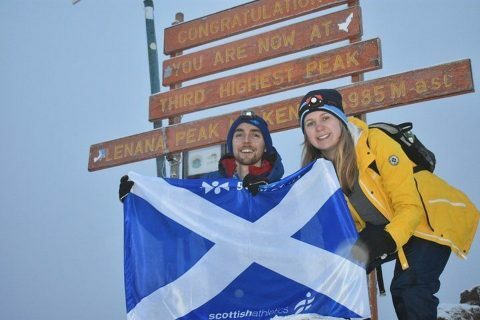 Dan Mulhare was the one who invited Myles out to train in Kenya for the first time back in 2011 and he has been an ever-present support to our fundraising since the beginning. 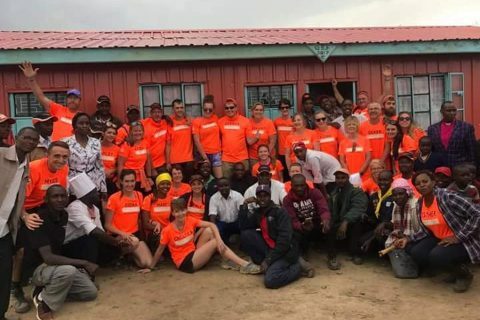 He planned and project managed a challenging first building trip where we had 52 amazing volunteers from outside of Kenya build a 16 bed dormitory and 3 bedroom house and then did the same for our 2016 building trip which saw us complete 5 houses in 9 days across 5 different locations. As a trustee of the foundation he is also involved in the day to day discussions about various initiatives and issues. Darren Cocker first became involved with the foundation as part of that initial trip in 2015 when he came over to Kenya along with 18 of his colleagues from Stewart Milne. 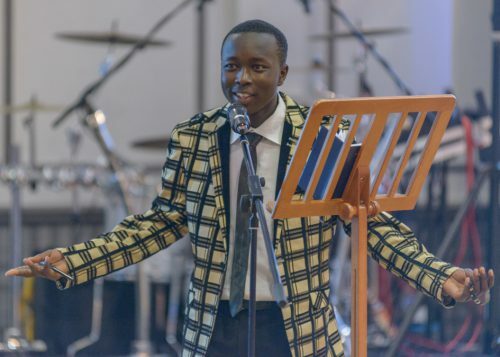 He was a central part of the 16 bed dormitory construction at the Pavilion Village children’s home and immediately began volunteering his expertise in many ways once returning home from Kenya. He has been on every building trip since, site managing one of the 5 building sites in 2016 and planning and project managing the 2017, 2018 and 2019 building trips. Between them, Dan and Darren have built 15 houses for over 80 children. Thank you to Pete Preston for DJ-ing at the end of the fundraising activities and supplying the DJ decks free of charge. 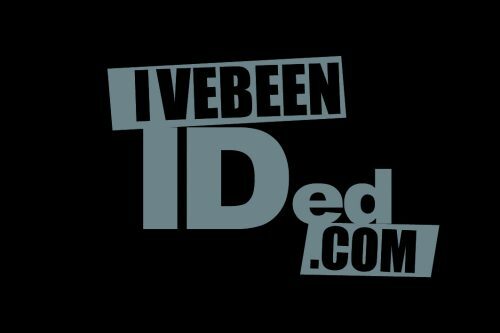 Pete was a successful DJ for many years but now runs www.oneofmypals.com which offers web design, SEO, re-branding and marketing services. Ardoe House Hotel & Spa, Aberdeen, thank you for hosting this event for the 3rd year and for giving us amazing support in so many ways. 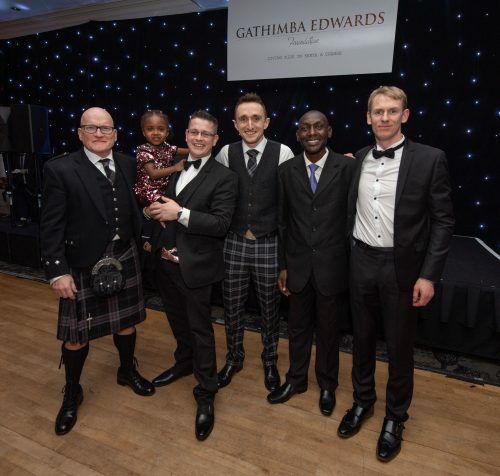 Thank you to everyone who helped us raise an incredible £49,103 at our second Gathimba Edwards Foundation dinner on Saturday 18th February 2017 at Ardoe House Hotel, Aberdeen. 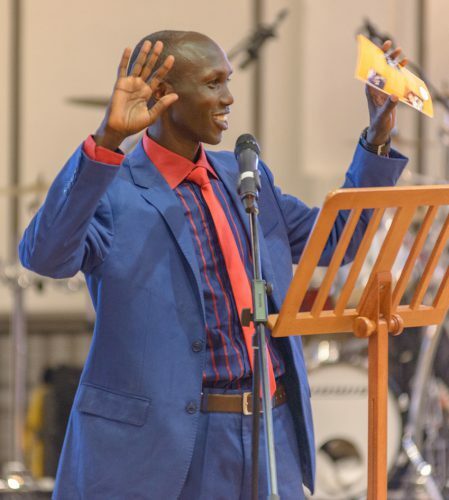 Guests were inspired by our first speaker of the evening Wilson Kipsang. The former world marathon record holder, Olympic medallist, New York, London and Berlin marathon champion, who attended the dinner on route to the Tokyo Marathon, spoke about his humble beginnings and how his running success has changed his life and the lives of those in the community around him. Next up was inspirational 18 year old Enock Kirop who has benefited from the Foundation’s support and also runs our bracelet operations in Kenya. Enock told guests of how their support had transformed his life and given him the chance to realise his dreams. It was Enock’s first time on aeroplane to attend the event. Former world 5,000m record holder Dave Moorcroft was in attendance again, this time excellently compering the evening’s proceedings. With Wilson Kipsang, Gideon Gathimba and Dave Moorcroft in attendance, there was three former world record holders present as well as GEF’s Peter Githingi who has helped over 1,000 children through his work with street children, Scouts and the Chaka Youth Football Project in Kenya. The Neil Jaffrey Local Child in Need Award was also presented to Mintlaw based youngster Tyler White. The inspirational two and a half year old, who suffers from spina bifida, received a specialised bath seat and up seat/walker. The award was kindly sponsored by the Westhill and District Roundtable group. In addition to this an anonymous £6,000 donation was made by a local company to allow Tyler’s family to install a stair lift into their home. The money raised from the evening went towards our the significantly increased school and uniform fees of our children as they progressed from primary to secondary school. These can jump from as little as £40 per year up to £1,000, which is why so many children don’t enter secondary education. We have also been able to provide regular counselling services as well as sustainable food solutions for families. Thank you to everyone who purchased tickets, tables and donated prizes. 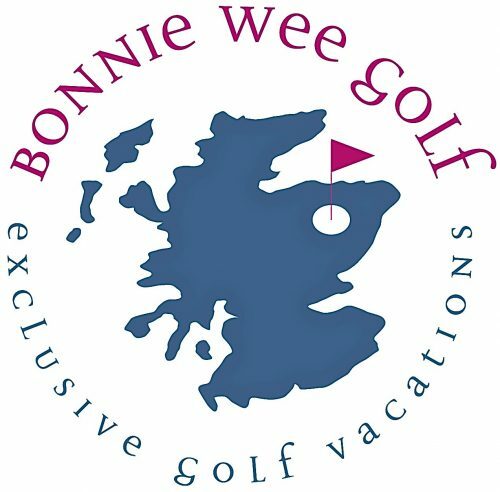 To all of our GEF dinner sponsors who have given so generously – bronze sponsors KR Steel, Rose Recruitment and CV Aberdeen, Silver sponsors Red Balloon PA and Aberdeen Sports Therapy and Gold sponsors BackStrong Trust, SureVoIP and Bonnie Wee Golf. To all of our partners and volunteers, who have given their time and services on the night and throughout the year, thank you. Guests enjoyed a welcome drink on arrival followed by a delicious and authentic three course meal, raffle and auction full of unique prizes and live music from Scottish band Mustang. Your incredible support in 2015 raised £42,000 for our kids and projects in Kenya. This has not only enabled us to increase the number of children we support from 167 to 230 but has also allowed us to improve the support we offer to them all. Every child is now sleeping on a newly-built bed with comfortable mattress, blankets and bedding – many of these children were sleeping on mud floors not so long ago. 230 children are now in full time education, 12 of them have completed secondary school and are now in either college or university. We have connected over 1,000 children through our school twinning programme. Your support has enabled us to invest in businesses and farming for several families to help them become more self sufficient. It has also allowed us to run a series of seminars advising families on a wide range of topics from managing finances, investment, self esteem, gender equality and sexual health. We also have our own holiday projects nurturing talents in education, football and athletics. Since we began in May 2014, we have been able to build new homes for 41 children and by October 2016 that number will have increased to 66 thanks to our volunteer builders. 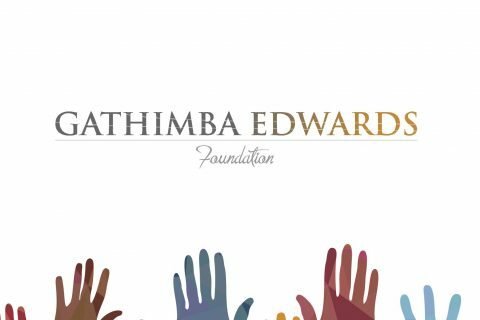 For more information on the trip please click here – www.gathimbaedwardsfoundation.org/volunteer-building-trip. Matthew James Dyer, who received the Neil Jaffrey Award in 2015, is doing well and enjoying his therapy at the Craighalbert Centre thanks to your support. He is also starting to train on an Eye Gaze computer system which in time will enable him to communicate with his loved ones for the first time. Thank you from the bottom of our hearts for making all of this possible. Myles Edwards and Gideon Gathimba.